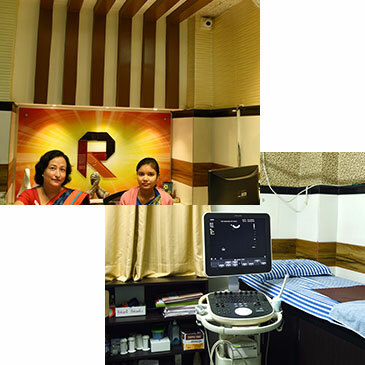 Ramkrishna IVF Centre is unit of True Value Fertility Care Pvt. Ltd. It was established with the sole aim to offer affordable yet extremely effective solutions for infertile couples all over Silguri. As a growing number of couples started to sense of incompleteness in their lives due to their inability to conceive, we emerged to bring them a set of scientifically evolved and approved solutions that could address a wide range of grievances in the field of infertility. From assessment to diagnosis to treatment & finally a successful session of pregnancy, Ramkrishna IVF Centre offers you a complete guide towards having a child, guiding you through every step towards the path of hope and success. Our advanced scientific methods helps derive positive results against infertility, every time. Walk in and talk about all the possible solutions that can be customized for your issues. We offer the most cost-effective infertility solutions in town compared to alternate choices. Meet the most amiable of staff who help you and interact with you throughout your appointments. We do not present our services with any sort of hidden charges whatsoever to you. Find and get treated only by the best infertility specialists in town, under one functional roof.